Understanding eating disorders and warning signs of eating disorders can be overwhelming and sometimes hard for loved ones to recognize. We hope to shed some light on this subject to support everyone who is involved in the recovery process. Keep in mind that recovery takes a team approach of a registered dietitian, therapist and medical doctor/psychologist. 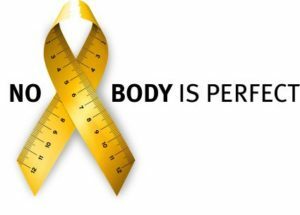 Eating disorders are not a phase of adolescence or an expression of vanity, they know age, gender, ethnicity, socioeconomic status, or religion, they are a true and very deadly mental health disease that requires early and adequate intervention which leads to the best clinical outcomes. The number one cause of any eating disorder is going on a diet. We strongly encourage anyone wanting to change their eating habits to ALWAYS seek out talking with a registered dietitian to help avoid falling into a dangerous eating disorder. Anorexia nervosa, bulimia, binge eating disorder, and overeating disorders can have numerous combinations of signs, symptoms and causes. Additionally, several other eating and body image disorders are closely related to anorexia and bulimia, including orthorexia, body dysmorphic disorder, and exercise addiction. What is the difference between a diet an an eating disorder? It truly is the relationship a person has with food and how the view themselves. Below is an easy way to tell them a part. If you are a loved one may be concerned that an eating disorder is present please seek help. Here is a LINK for a free and anonymous screening. Next meeting with a registered dietitian, therapist and medical doctor is key to a successful recovery.